Many Caribbean islands have beaches, but where Barbados differs is what lies behind the surf and sand. No matter your budget or style, you can find a place to stay that suits you, whether cheap, funky, restful or posh. All the comforts of home are close at hand if you want them as Barbados is one of the most developed islands in the region. The literacy rate approaches 98% and the capital Bridgetown and its surrounds are booming. Half a million people can’t be wrong. That’s the number of visitors Barbados attracts annually, and it doesn’t take long before you see why they come by the planeload: the coasts are ringed by the kinds of azure-water and white-sand visions that fuel the fantasies of Brits, Americans and Canadians stuck shivering away in some snowy winter clime. There are beaches everywhere. Along the East coast they are wide and wind-blown. Here the shore is pounded by the Atlantic making it a delight for the surfers who come from all over the world. On the calmer South and West coasts, you may walk for miles along unbroken white sand beaches, sometimes stopping at a cluster of coral rocks jutting out to sea. All along the shore large and small beaches are broken by coral formations, the soft coral rocks weathered by the ocean surf, forming abstract sculptures pleasing to an artist’s eye. Shop in Barbados with duty free discounts at the various shopping malls and craft centres to choose from during your stay in Barbados. Barbados is renowned for duty free shopping on designer goods. So if you are looking to buy a special gift such as jewelry, then you can make significant savings by making your purchase while shopping in Barbados at duty free discounts. Please note when buying duty free goods in Barbados you will need to present your passport and details of your address in Barbados to qualify for the duty free price. Also note that all alcohol and tobacco purchases made outside of the airport or port will not be handed over the counter but delivered straight to your port of departure for collection when you leave the island. St. Nicholas Abbey is the most treasured attraction in northern Barbados. It is the oldest house on the island, and one of the three remaining examples of Jacobean-style architecture in the Amrericas. This stone and wooden structure offers a revealing view of aristocratic plantation life. The Abbey was built in 1650 by Colonel Benjamin Berringer, a landowner and member of an aristocratic family, which dominated the social and political life of the island at that time. To the north of the Abbey are ruins of the sugar factory that once ground the canes produced on the estate. The factory was closed in 1947; however, the present owner, Stephen Cave, has some old film footage which shows various aspects of life at the Abbey early in the 20th Century, including workers in the factory. This intriguing footage is shown to visitors on request. Farley Hill National Park is also located in the north of the island. 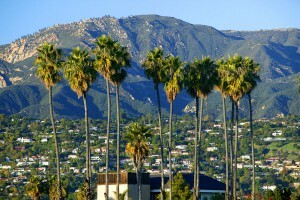 This paradise consists of several beautiful acres of tropical trees and plants. The park and its great house sit on a cliff 900 feet above sea level and offer a commanding view of the entire Scotland District. Gun Hill, the highest point in central Barbados, is rich in history. This historic site was the home of a signal station for the British Imperial Forces. Perched on a cliff is a milk-white limestone lion which was sculpted in 1868 by Henry Wilkinson, the Adjunct-General of the Forces. 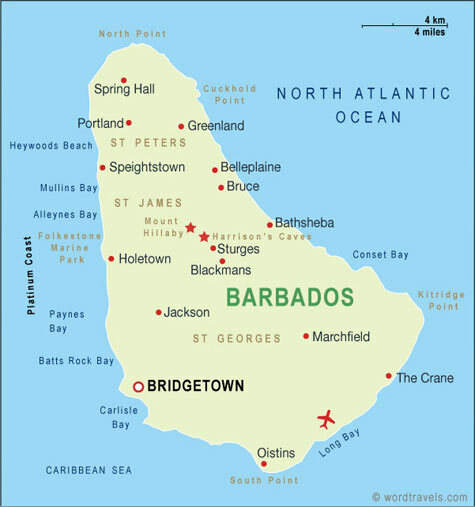 Barbados’ bustling capital, Bridgetown, is also the island’s only city and is situated on its only natural harbor. Its many sights and old colonial buildings can easily occupy a day of wandering. Head along the side streets of the main drags to discover residential neighborhoods scattered with rum shops and chattel houses. Many enjoy taking a respite from their day at one of the cafés or snack stands along the south banks of the Constitution River. There is good shopping, especially along Broad St and on pedestrian-only Swan St, which buzzes with the rhythms of local culture. The tranquil feel of the gully will instantly strike you. 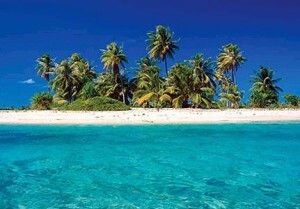 It is a place where you can experience a piece of nature and imagine what the island was like 300 years ago. It is a touch of tropical forest, mixed with Barbadian and other exotic tropical plants. Since Barbados does not have many remaining tropical landscapes that are easily accessible, visiting Welchman Hall Gully will be an unexpected surprise and treat.